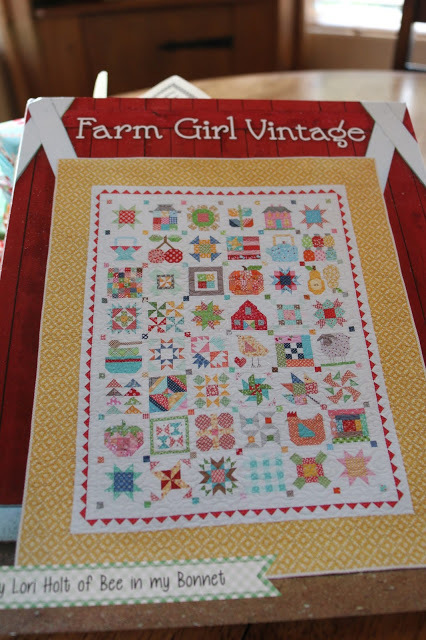 My Farm Girl Vintage quilt project is just in the beginning days, but I have two blocks finished! I started with my two favorites. The Baking Day block was the one that caught my eye on Instagram and I just couldn’t resist! Throw in a vintage rolling pin and sifter, and it makes a pretty cute photo too (except for the lack of daylight, making an exceptionally dark photo). 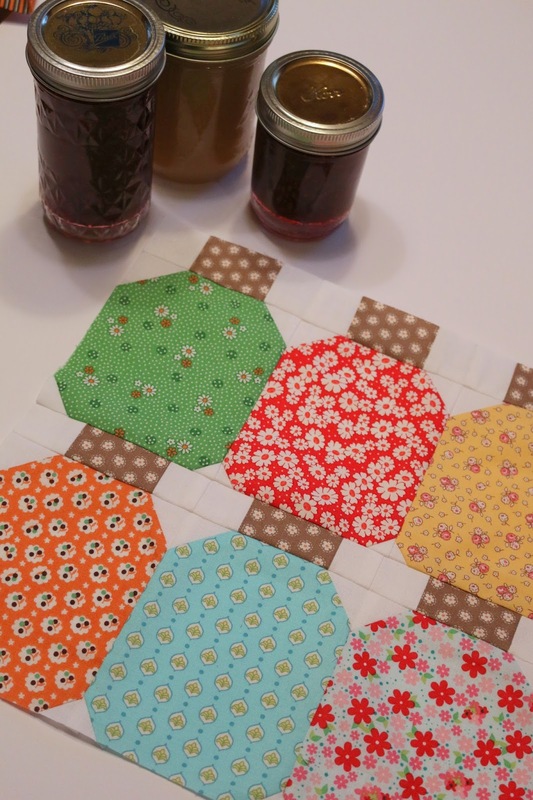 The Canning Season block was just too cute to pass up. The blocks were very simple to make. 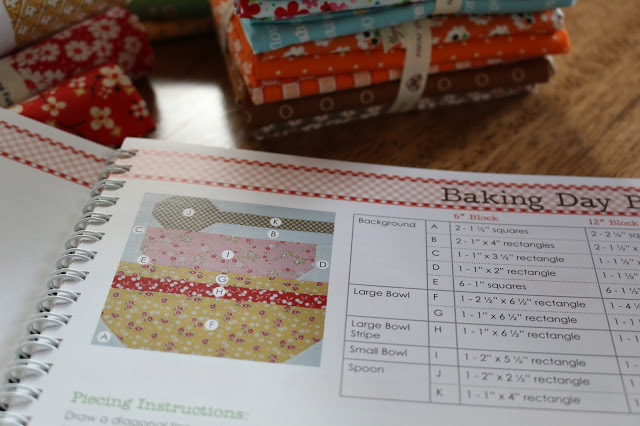 I wouldn’t call it a beginning quilt, but it’s a good project for an intermediate quilter. There are so many blocks to choose from. I can’t decide which one to do next! I think it will either be the chicken or the barn block. 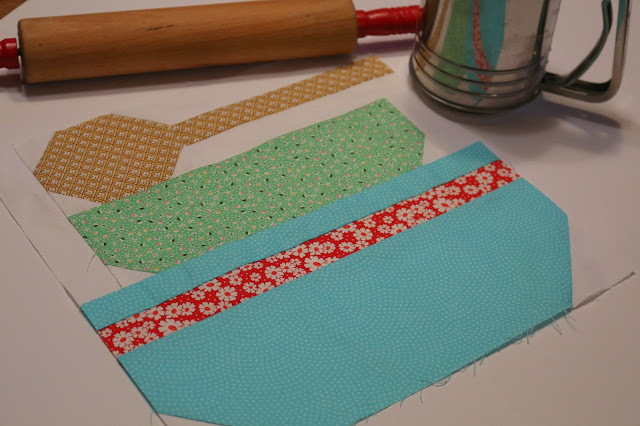 I may need a few more vintage fabrics in the the red color family, but these were a pretty good start. 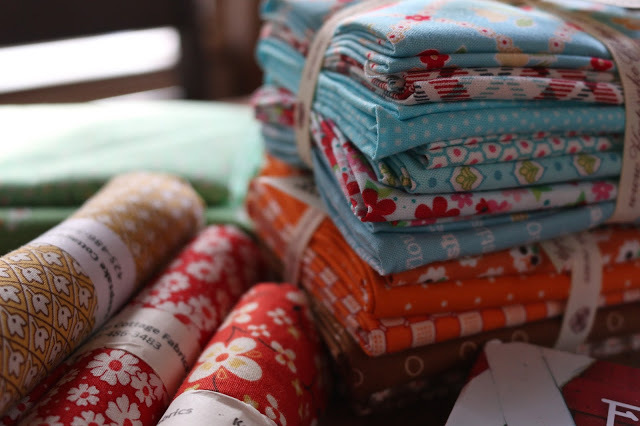 I’m in love with this quilt and can’t wait until I get a few free minutes to sew. How could you NOT get sucked in? 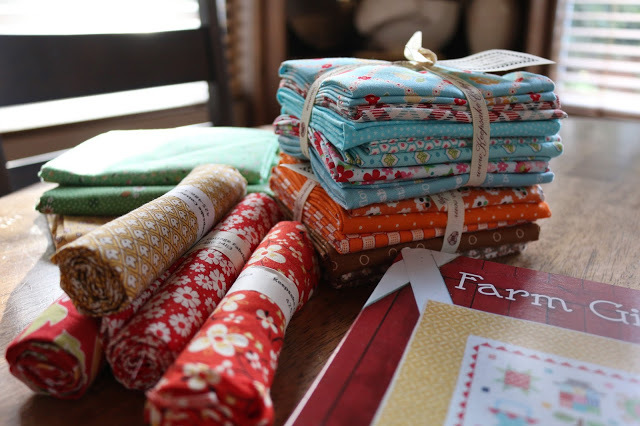 The combination of vintage fabrics and country farm girl vintage quilt blocks is just too much to resist!